Yes sir, I do! For my 68th birthday, I decided I wanted a tattoo. So now that the shock of “WHO ARE YOU and WHAT HAVE YOU DONE WITH MY DADDY” has worn off (slightly)…I gotta say that the design is really cool. The idea of getting inked all started when a Facebook friend posted this image. I was drawn to the message and thought this would make a cool tattoo – except it was way too busy for my taste. 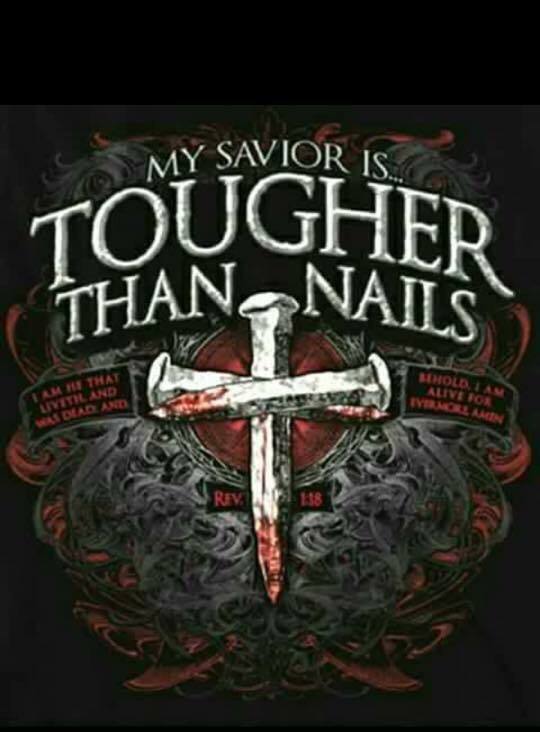 After finding several designs of a cross made from nails, I settled on an image and made an appointment. All that was left was finding a Bible verse that represented what the cross means to me. So why is that verse important to me? For starters, it represents a change that I went through way back in the 70’s when I came to the realization that I needed to make a formal and public declaration that living for ‘self’ was over and living for Jesus was a new beginning. To believe in Jesus means more than just head knowledge of Jesus. It means heart knowledge as well, or knowing Jesus in a personal way. To do this, a person must decide to be crucified with Jesus and let Jesus live in him. So let me ask you this – have you been crucified with Jesus? Are you living in the Spirit or in the flesh? If you were to die today, do you have the confidence in knowing that you will go to heaven? The Bible says we are saved by grace, not by works. There is nothing you can to earn your way into heaven. Call out to Jesus today. Let Him know you want to stop living in the flesh and start living in the Spirit. The Bible says that everyone who calls on the name of Jesus will be saved (Acts 2:21). To choice is yours. 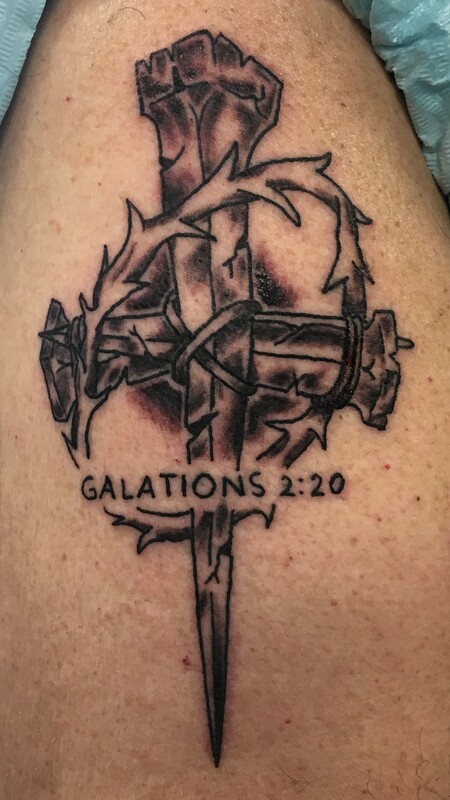 This entry was posted in Spirituality, Virginia and tagged tattoo. Bookmark the permalink. I’m glad you’re happy, but I’m not a tattoo proponent. Sorry. Thanks for taking us along that journey with you and Carol. Awesome tat! Sometimes it takes longer to know what your message should be — I have 3. And once you start…who knows….ha! They say you always want more! But your message is beautiful and special. 🤔 I would not have the verse written, only the reference.